If you haven’t had a chance to read Part I – Leveraging AI in the CFO Suite, Part II – The Benefits of AI and What You Will Need to Make It a Success and Part III Where to Invest in AI, How to Measure the Financial Impact and Select Projects yet, please do so before continuing on. There are four major investments you’ll need to make to use AI successfully in your business. 1. Develop an AI Strategy: This investment is about learning how to apply AI to your activities and selecting your best course of action. Consider using outside experts to help augment your thinking in this area if you are just starting your AI journey. The first step of strategy development includes learning about AI, determining how it will be applied to the CFO responsibility areas, assessing the value of AI application for those areas. The second step is to gauge the data needs (availability, accuracy, volume) and the cost of “creating” data that can generate the output required. “Quality, effectiveness, efficiency and insight are the four key pillars that really make this valuable stuff…” according to Nick Frost, KPMG Audit Technical Lead Partner.¹ Watch for these characteristics in your data. If they aren’t present, be wary of how you use your final product. Using the value noted in a. above and the cost determined in b. an AI Strategy targeting the areas where AI will have the most impact can be constructed. Skill/System assessment and timeline. Determine where growth in skills and systems are needed. The scope of these needs will also help create the resources required and a timeline. From a risk perspective, consider starting small (high expected return, low initial investment) and allow for greater investment as success is realized. Include a change management plan to assist employees and other stakeholders in understanding the strategy and the impact it will have on them. 2. AI Software Selection: The investment in software will include the cost of the software and the expenses of the internal and external team members working on the process. Use your Strategic Plan to target AI vendors that serve the areas highest on your list. If AI is new to you stay small and focused on high return, bite-sized efforts you can learn from. Use your network to validate claims made from vendors in terms of system results, implementation timeline and cost. This investment will include the direct payments for the software and internal costs for the selection team to do their work. Our “AI Capital Investment Analysis” tool will help you summarize and communicate your planned investment in AI. 3. Implementation to Operation: It is important to focus the cultural change required during this stage to create an environment that craves the new learning AI brings to the table. The combination of our team’s desire to use AI wisely and a sound AI system add up to success. If either is missing, there is a good chance your implementation will fail. Research and mitigate the risks related to the implementation and data management. Train and hire the skills to manage the system and leverage the new capabilities created by the AI. Identify and manage the risks that are likely to occur because of the implementation. Procure and implement the technology that fits your strategy. Monitor and adjust the AI inputs and outputs to create optimum value for the AI stakeholders. 4. Ongoing AI growth: Your AI strategy document is the road map that will be used to plan AI follow up. It is a living document that requires updating. Assess current operating AI systems for optimization annually. Artificial Intelligence holds great promise for financial professionals. It’s a key ingredient to enhancing the business partnering momentum established in the new millennium. 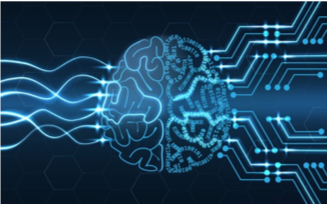 Creating our AI Strategy, securing the skills to choose, implementing and operating AI systems, and growing these capabilities are new challenges demanding the attention of the CFO. Developing more efficient and “smart” transaction systems while improving decision support activities are huge value drivers for businesses today. Our ability to harness the power of AI to these means will be a significant measure of our success. We’d love to hear about your AI experience (email us at info@erpminsights.com)! "[…] Next Up: Part IV Getting After It: Take the Next Step and Make Your Investment in AI […]"